Thaddeus Young calls it the "toughest game ever." So, perhaps it's a good thing the Pacers will be facing the toughest team in the Eastern Conference, if not the NBA, on Wednesday. The final game before the All-Star break always poses the possibility of an early checkout. Some players go into it with their minds more focused on time off in a warm place than on yet another game, and pay a price for their distracted approach. The Pacers have a couple of things going for them that could prevent a letdown. They have the momentum of a six-game winning streak that has deposited them in third place in the Eastern Conference. There's also the fact they could wind up thoroughly embarrassed if they don't bring their best effort into a game against Milwaukee, which has the league's best record (42-14) — unless, of course, the Bucks opt for an early checkout. 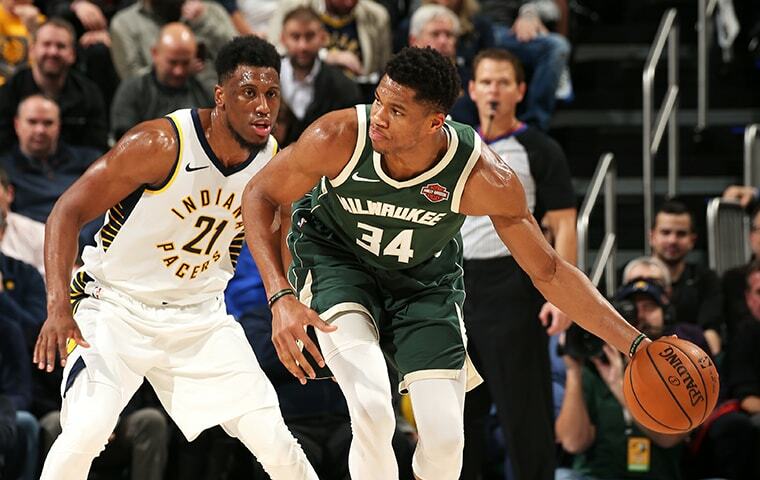 The Pacers built their win streak on a relatively easy stretch of schedule, but Milwaukee will interrupt with a stiff final exam before vacation. "It keeps us in that mode we have to be focused," Young said. "Usually when you're getting ready to go into the All-Star break, teams are already at All-Star break. They're not as focused as they should be because they're trying to get to that plane and get home to their families. "I think we're all locked in. We know how big this game is for us. We know what we need to do. We know this is a divisional matchup, a conference matchup, and it will put us up 2-1 in the series so far. We've just got to play." 2018: They won at Brooklyn, 108-103, a reflection of the spirit and camaraderie that took them to a surprising 48-win season. Victor Oladipo led with 25 points, Myles Turner added 14 rebounds, and Al Jefferson came off the bench to delight his teammates with another one of his post play clinics with 13 points on 6-of-7 shooting. 2017: They lost at home against Washington, 111-98, a reflection of their lack of spirit. It was their sixth consecutive defeat, a slump partially due to the absence of Young, who had missed the previous eight games. "I think we're exhausted," Paul George said. "We've been drained." George also used the word "disconnected" to describe the team and said it needed a "spark." One came later in the season in the form of Lance Stephenson, who helped ignite a five-game winning streak to close the season and kept the Pacers competitive in a first-round playoff loss to Cleveland. 2016: They lost a home game with Charlotte, 117-95, which turned out to be their worst homecourt defeat of the season. "They just took it to us," George said. 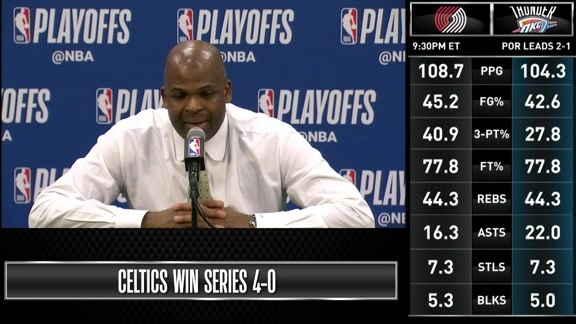 "They wanted to get this win...more than we wanted to get this win." 2015: They won at New Orleans, 106-93, which would have qualified as an upset if Anthony Davis had not missed the game with a shoulder injury. George Hill led the Pacers with 17 points, while New Orleans' starting backcourt of Eric Gordon and Tyreke Evans combined to hit just 5-of-20 shots. 2014: They lost a home game to Dallas, 81-73, which foreshadowed their stuttering finish to the finish line of a 56-win season, although they still owned a 40-12 record, the best in the franchise's NBA history at the break. They hit just 7-of-24 3-point shots overall. George, mired in a personal slump that would end when the season resumed, hit just 4-of-17 shots. "It was one of those games it seemed everyone was on vacation," Danny Granger said. "Seventy-three points, that's pathetic." The Pacers won six of their first seven games after the break before slipping, but still managed to reach the Eastern Conference Finals. Dallas, by the way, was led by Monta Ellis, who finished with 23 points, nine rebounds, and six assists. McMillan chuckled when the topic of games such as the one on Wednesday was brought up following Tuesday's practice at St. Vincent Center. He's well-acquainted with the challenge they present from his playing and coaching career. "You get to thinking about the break and travel," he said. "Sometimes (players) just want to get through it. But we've been in a good rhythm. We've got the best team in the East coming into the building and it's another opportunity for us to defend homecourt." 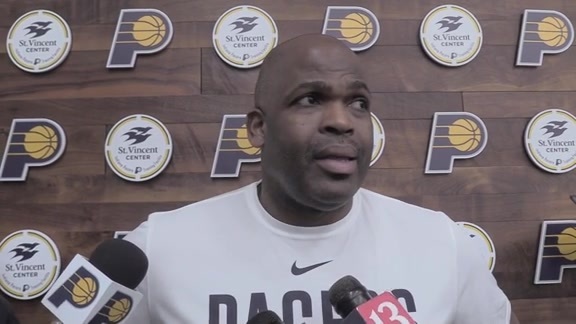 McMillan has ingrained the concept of "one game at a time" into his players, who never seem to look ahead to games beyond the next one or consider some more important than others. Asked about the risk of a letdown, Domantas Sabonis was taken aback. "For us?" he said. "Oh, no, we're going to come out. We treat every game the same. Hopefully (the Bucks) feel that way. We're just going and try to get a win and protect our homecourt." The Pacers lost by 17 points at Milwaukee in their second game of the season, but came back with a 113-97 victory over the Bucks on Dec. 12. Young played perhaps his best game of the season with 25 points, 11 rebounds, and four assists while holding MVP candidate Giannis Antetokounmpo to 12 points (on six field goal attempts), his second-lowest point total of the season. "The biggest thing is me keeping my body in front of him," Young said. "Make him make multiple moves and trust my guys are going to be there on spins and some of the moves he's going to be doing." Young wants to put in one more good night of work before taking his family to Cabo San Lucas. "We'll definitely be out the next morning on the first thing smokin'," he said. McMillan will go back to his native North Carolina. "It's going to rain, so it's going to be perfect to get some sleep," he said. 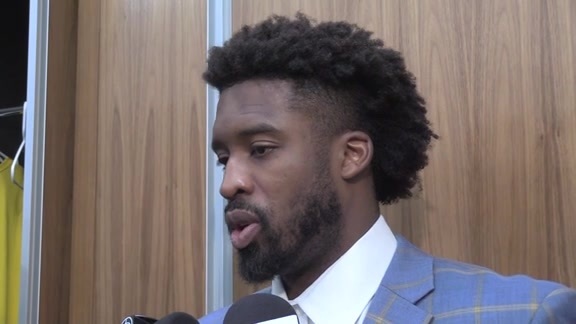 Newcomer Wesley Matthews, meanwhile, will go back to Dallas. He was traded by the Mavericks to New York just ahead of last week's trade deadline and then played in two home games for the Knicks. He needs the time to regather his belongings and establish a home base in Indianapolis. He's already established himself with his new teammates, however. 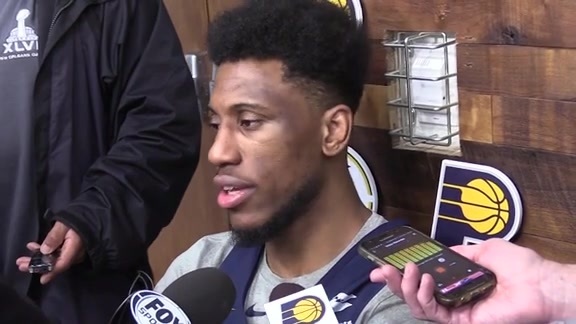 He didn't have the alienated look of the new kid in school when he made his Pacers debut against Charlotte on Monday, and has been interacting freely with everyone on the practice court. "It's like he's always been on the team," Young said. Matthews provided an example of that by making fun of Young for sitting down to talk with media members on Tuesday. "That guy's a character already," Young said. "I said, 'Yeah, but I've got more years in than you.'" Which is true. Matthews, 32, attended Marquette for four years and is in his 10th NBA season after going undrafted. Young left Georgia Tech after his freshman season, became a first-round draft pick, and is in his 12th season. So, Young obviously knows something about early exits. But he's been around long enough to know the plane to Cabo won't leave until Thursday.